The FCC has streamlined its process for reviewing and approving applications by companies that want to offer internet service on airplanes. The new process should cut the approval time by as much as 50% according to the regulatory body. The current process followed an ad hoc methodology and was not meant to be a final solution. 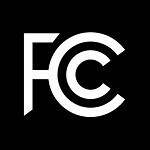 The FCC hopes this will enable service provides to bring broadband internet service to market faster. The service providers still must follow FAA guidelines as part of the process as well, but this more expedient treatment from the FCC is a good development. For us jetsetters, that means more connectivity on our smartphones, tablets and other gadgets, while we travel. And how many years has Europe had in-flight cellular and internet usage? And how many American-made planes have crashed in Europe as a result of this access?